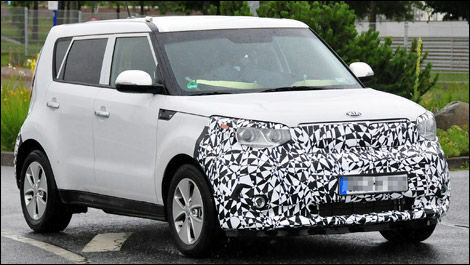 Kia will present the all-new 2015 Soul EV at the upcoming Chicago Auto Show along with the Niro concept and a more advanced version of the Optima Hybrid. 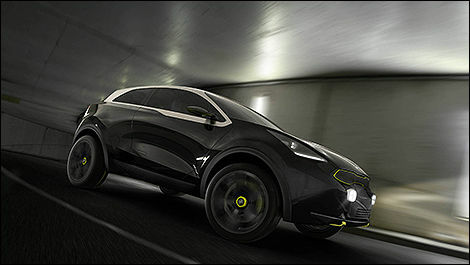 The Kia Niro concept will appear in Chicago after debuting at the Frankfurt Auto Show back in September. This 2+2 compact SUV could directly and seriously rival the Nissan JUKE. Riding on 20” wheels, it uses a 1.6L turbo engine and 7-speed dual-clutch transmission to generate 160 horsepower. The rear wheels are driven by a 45-horsepower electric motor. Meanwhile, the 2015 Kia Soul EV, which is set to go on sale in the U.S. and Canada during the third quarter of this year, can be fully charged in five hours via a 240V outlet or as little as 33 minutes when using 480V power. Range is estimated at 80-100 miles (128-160 kilometres). What’s more, 12% of kinetic energy will be converted into electricity and stored in the battery by the regenerative braking system.